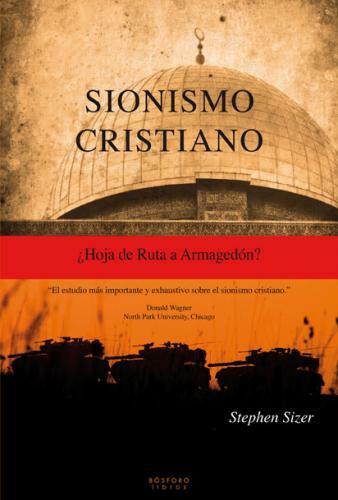 “I am glad to commend Stephen Sizer’s ground-breaking critique of Christian Zionism. His comprehensive overview of its roots, its theological basis and its political consequences is very timely. I myself believe that Zionism, both political and Christian, is incompatible with biblical faith. Stephen’s book has helped to reinforce this conviction.” Revd John Stott, Rector Emeritus, All Soul’s, Langham Place, London, the principal framer of the Lausanne Covenant (1974) and founder of the Langham Partnership International. “This is a very fine and important book. All Christians who believe that Jesus favoured peacemakers, should read it and realise what terrible harm is being done in the name of Christianity. And all who are concerned about the Israeli/Palestinian conflict should read it to understand how Christian Zionism disables the US as fair minded mediator. European foreign policy thinkers should read it,because this distortion of US political space, puts a greater responsibility on European governments to stand up for justice and international law” Right Hon. Clare Short, former British Secretary of State for International Development. Endorsements of Christian Zionism: Roadmap to Armageddon? Paper delivered at the Qatar Conference on Jerusalem 26-27 February, 2012. What is the relationship between Israel and the Church? This short paper refutes the seven most popular assertions of Christian Zionism. The Bible: a literal futurist hermeneutic Chosen peoples: the relationship between Israel and the church Restorationism: the return of the Jews to Zion Eretz Israel: reclaiming Judea, Samaria and beyond Jerusalem: the eternal and exclusive Jewish capital The temple: rebuilding for desecration The future: the eschatology of Christian Zionism The distinctive theology of Christian Zionism: conclusions . Evangelical Christians are sometimes accused of not being sufficiently interested in politics and not contributing to the great debates about social welfare in our world today. ‘Too heavenly minded to be of any earthly use’, is the charge. 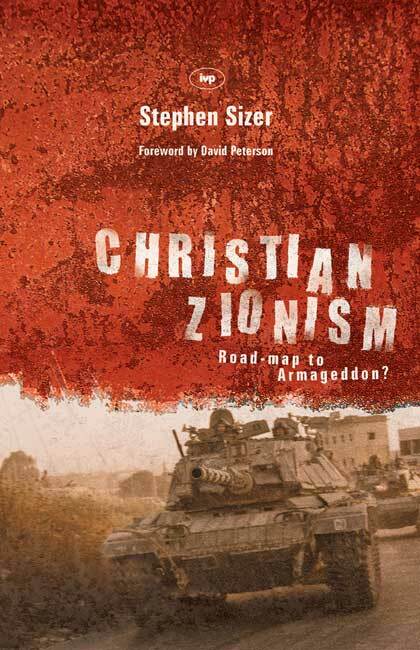 While there may often be truth in this accusation, Stephen Sizer’s challenging study of Christian Zionism demonstrates that there is at least one area in contemporary politics where this is decidedly not so. But is the influence of Christian Zionism valid and helpful? Is the theological basis of this political stance misguided and the outcome contrary to God’s will? Stephen’s careful survey of this movement demonstrates that theology really matters and, if the theology is wrong, the consequences are disastrous. Prior to examining the theological position of the various strands of Christian Zionism, Stephen devotes his first chapter to an historical exploration of the development of this movement. He traces the transition of Christian Zionism from early nineteenth-century rural England to mainstream American evangelicalism in the twentieth century. He notes the historical and interpretative reasons why Christian Zionism evolved into different schools of thought. Then he launches into a theological analysis and critique of those positions in his second chapter. Seven basic theological tenets are accepted in varying degrees by evangelical Christian Zionists. The foundation upon which the other tenets are based is a literalist hermeneutic and a consistently futurist reading of prophecy. Quite apart from the political outcome of this way of reading the Bible, there are serious implications for the church and the gospel. At heart of the problem, he claims, there is actually a devaluing of the significance of the Lord Jesus Christ and his atoning work for Israel and the nations. 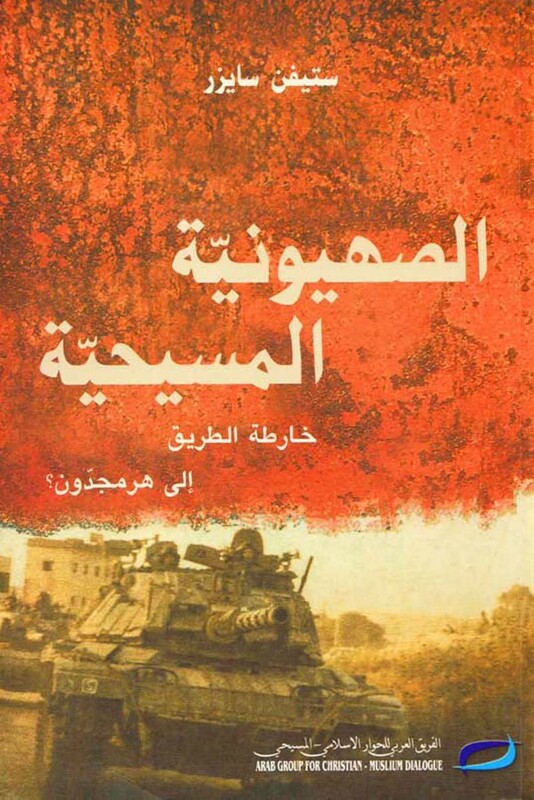 The third chapter of this book shows how the belief that the Jews remain God’s chosen people (apart from Christ and his church) leads Christian Zionists to endorse and justify many of the current policies of the Israeli government, including the annexation and settlement of Palestinian-owned land. The return of Jews to Israel is actively encouraged and facilitated. Western governments are pressured to relocate their embassies to Jerusalem and to recognize this as the eternal and exclusive capital of the Jews. Those who believe that Scripture predicts the rebuilding of the temple in Jerusalem and a reinstitution of the priesthood and sacrificial system offer varying degrees of support to Jewish Temple Mount organizations committed to achieving this end. Moreover, as Stephen concludes, since Christian Zionists are convinced there will be an apocalyptic war between good and evil in the near future, there is no prospect for lasting peace between Jews and Arabs. Indeed, to advocate that Israel compromise with Islam or coexist with Palestinians is to identify with those destined to oppose God and Israel in the imminent battle of Armageddon (p. 252). Underneath the beautiful Sea of Galilee lies a hidden fault-line that runs down from Mount Hermon through the Jordan Valley to the Red Sea, the Arabian peninsula and on to the heart of East Africa. Over thousands of years, earthquakes along this fault-line have devastated countless civilizations. Today there is a human fault-line running through the same land – a fault-line that is largely hidden from view until it erupts in violence. The cause of these volcanic eruptions has to do with the pressure of two peoples, like two tectonic plates, trying to occupy the same land – one the military occupier, the other the occupied. The media present this as a clash between two cultures, Palestinian and Israeli or Oriental and Western. As I hope to show, the convictions of Christian Zionists have made a significant contribution to the Israeli–Palestinian conflict. In general terms, Zionism may be defined as ‘the national movement for the return of the Jewish people to their homeland and the resumption of Jewish sovereignty in the Land of Israel’. The term ‘Zionism’ was first coined in 1892 by Nathan Birnbaum, then a student in Vienna. A year later he published a booklet entitled, The National Rebirth of the Jewish People in Its Homeland as a Means of Solving the Jewish Problem, in which he advocated Jewish nationalistic ideas that Theodor Herzl was to later expound in A Jewish State, published in 1896. At the First World Zionist Congress, which Herzl convened in Basle a year later, he and Birnbaum articulated the deep longings of many Jewish people for their own homeland. Various strands of Zionism emerged in the early twentieth century including practical, socialist and communist. The most recent and probably most destructive form to appear is known as Messianic Zionism. Distinct from much more traditional and less extreme expressions of Zionism, this is associated with individuals like Rabbi Kahne and Gershon Salomon, together with the Gush Emunim movement and the Temple Mount Faithful. Messianic Zionism was spawned from within the ultra-Orthodox subcultures of the ‘Charedi Bible-belt’ around Jerusalem following the 1967 ‘Six Day War’. The Charedim (ultra-Orthodox Jews) were, according to Sachar, ‘the first to embrace the territorialist mysticism inherent in the 1967 triumph’ and came to be a decisive factor in Likud’s electoral victory in 1997. Equating Arabs with the ancient Amalekites, and convinced they have a divinely ordained mandate to carry out ethnic cleansing of the Palestinians from Israel, religious Zionists have been in the forefront of the illegal occupation of Palestinian land, attacks on Muslims and mosques and the systematic expansion of the West Bank settlements, especially in places like Arab East Jerusalem and Hebron. Ironically, the Zionist vision which initially called simply for a ‘publicly secured and legally assured homeland for the Jews in Palestine’, was largely nurtured and shaped by Christians long before it was able to inspire wide-spread Jewish support. As will be shown in chapter one, proto-Christian Zionism predated and nurtured Jewish Zionism, while the contemporary Christian Zionist movement emerged only after 1967, alongside Messianic Zionism, in part in reaction to the widespread criticism Israel has endured over the last thirty-five years.